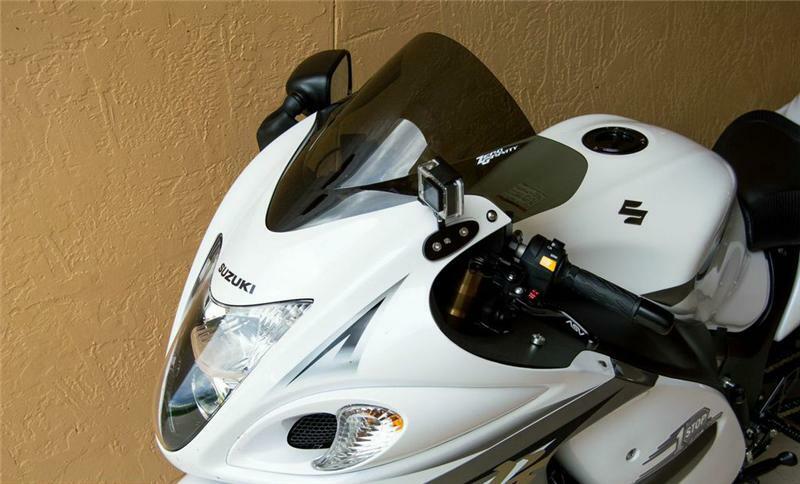 Speed Mounts Motorcycle Mounts UNIVERSAL - Dezod Motorsports Inc - Home of the automotive performance enthusiast since 2002. Eliminate the need for the suction cup style camera mounts on the exterior of your motorcycle! You will not need to worry about losing your camera any longer. The Speed Mounts bracket allow you to secure your go-pro camera right to the factory mirror mounting holes using our bolt-on mounting bracket. This bracket will work as a mirror block off or a mirror spacer if you want to keep the mirror on the bike. Your Speed Mount is made from 6061 Billet Aluminum and anodized black for a sleek, smooth look. All mounting hardware is included.